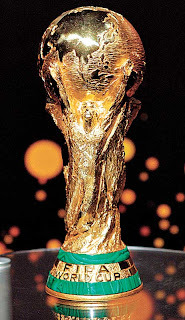 The World Cup Trophy has arrived in Sao Paulo and will be exposed at the Memorial da América Latina, on the Barra Funda Suburb. Today is reserved just for the press, but tomorrow, people that won the promotion organized by the Coke Company. The trophy will pass through 86 contries before arrive to South Africa on May 4th.